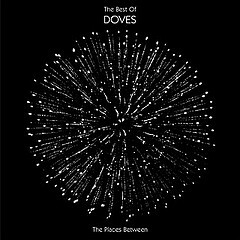 Barely a year since the release of 2009′s Kingdom of Rust, and just 12 years into their career as a band, Manchester’s Doves are set to reflect on their beloved and storied catalog on The Places Between: The Best of Doves, due for release on April 6, 2010, via Astralwerks/Heavenly Recordings. “Cherry picked” by the band, and “painstakingly sequenced by Jimi, Andy and Jez themselves in the way they want you to experience their last decades work,” The Places Between will cover their critically acclaimed four studio albums, as well as a smattering of B sides, rarities and unreleased material on the second disc of the collection, in addition to new songs such as new single “Andalucía,” “Blue Water,” and “Drifter,” which features Simon Aldred of Cherry Ghost. The Places Between will be available in both single-disc and multi-disc versions. Check out our 2009 interview with Jez Williams right here. Doves - "Kingdom of Rust"